If there’s one place a 19th-century plains woman should feel safe, it’s within her own home. Gendered ideas of ‘women’s work’ would encompass all elements of housekeeping and, most importantly, child-rearing. The domesticity attached to tending acres of farmland and maintaining a log cabin during the westward expansion made the work of women, typically farmer’s wives, vital. But this was an incredibly lonely existence. With their husbands away for often long periods of time it was recorded throughout the era that those settling on the Great Plains, especially the women, would often go mad with what was dubbed ‘prairie madness’. The brutal and unforgiving nature of such expansions of land forms the key villain of Emma Tammi’s western-horror The Wind, a paranoia-inducing rummage through the menial and often devastating tasks undertaken by Plains-women of the late 1800s. Child-rearing proves to be one such task these women could endure. Her white nightgown soaked in blood, framing the cabin doorway in a gruesome ethereal glow, Lizzie (Caitlin Gerard) is first introduced to us as almost a spectre herself, passing over a baby to two men waiting outside the house. However, the baby is not hers, but a young woman named Emma’s (Julia Goldani Telles). 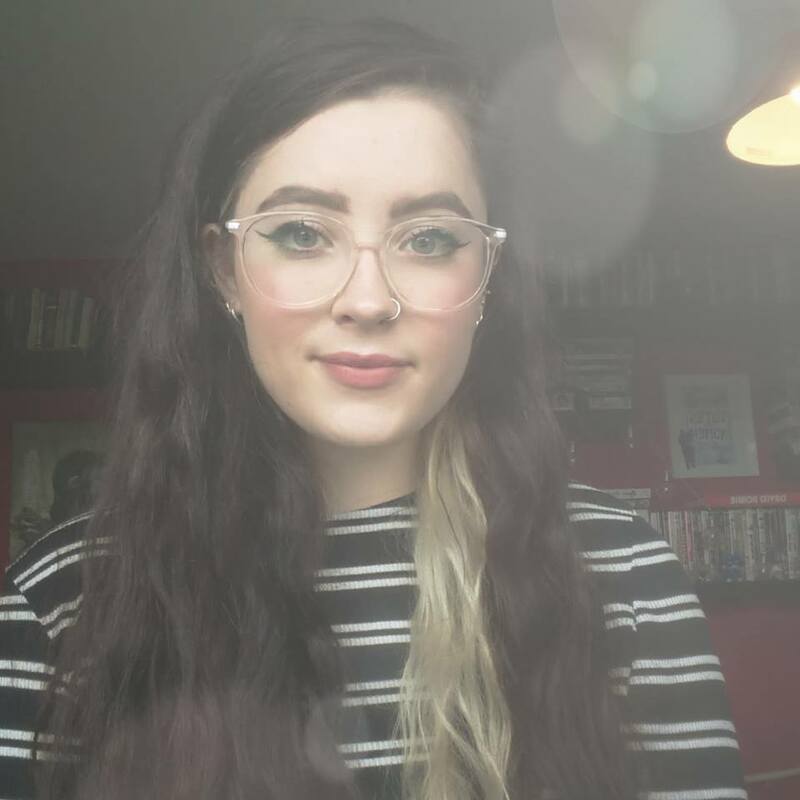 Emma recently moved into the vacant cabin nearby with her husband Gideon (Dylan McTee) but we now learn her to be dead after a fatal shotgun blow to the head. It’s certainly a grizzly opening, but Lizzie’s vacant expression evokes a sense that such events either aren’t surprising, or she’s seen it all before. The life of Lizzie and her husband Isaac (Ashley Zukerman) is from this point unraveled in a set of flashbacks that first charter the arrival of Emma and Gideon. Their only neighbours for miles, it seems pre-destined that both couples should become friends, but Lizzie soon becomes concerned when Emma reveals that she is pregnant. Fast-forward to the film’s present day, knowing Emma and her baby to be dead, Lizzie slowly but surely comes undone as she is left alone whilst Gideon and Isaac leave for a supply run. With nothing but the wind around her, nature itself takes on a threatening form, whispering in her ear, rapping on the door, and blowing out candlelight. Believing it to be some kind of prairie demon, Lizzie retreats to repetitive and maddening housework; each scrub of a floorboard a desperate attempt to cling onto sanity. Lizzie’s isolation is beautifully captured as rolling landscapes and hostile lands seem to echo off Ben Lovett’s haunting score, simultaneously portraying her confusion and mental decline. Pushed further by some deliberately confusing flashbacks that unveil some poignant moments of Lizzie’s life on the plains – costume changes make it difficult to pinpoint what is past or present. It’s a great technique to sustain the mystery, and these moments of utter confusion lead down a far more horrific path than the demons (perhaps figural or literal?) that do present themselves to her. The unseen horror is always what lingers the most, and never the wind’s physical incarnations. Home is no longer a sanctuary, a construct of constraint and isolation in some ways, Lizzie rebels against expectations set upon her. Throughout the film we see her confidently poised as a skilled shooter – repeated cries of “How did she get your gun, Lizzie?” are some of the most impactful lines of the whole film. 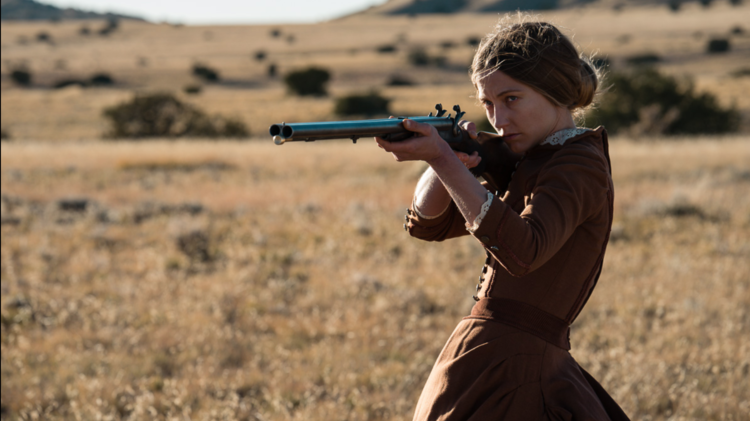 Caitlin Gerard is head-strong in the role, with little dialogue she conveys so much, with a stern glance that never gives too much away, further portraying Lizzie’s plight and connection with the plains’ dark history. Feasting upon the nature of a slow-burn, The Wind’s pacing and madness perfectly mimic that of frontier life. Exploiting the use of flashback to its full potential, it unwinds a harrowing story that compares Plains-women’s domestic lives to that of a bloody battleground, with an unknown intruder threatening their safety, sanity, and sanctuary. Emma Tammi skillfully entwines the typically male-dominated western genre with feminine paranoia.